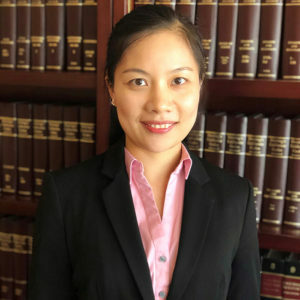 Attorney Jing (“Linda”) Lin is a licensed attorney, authorized to practice immigration law nationwide, and an active member of the State Bar of New York. She obtained her Bachelor of Law (LL.B) from Zhongnan University of Economics and Law, one of the top law schools in China. After immigrating to the US, she received her Master of Law (LL.M) degree with Honors from Golden Gate University School of Law in San Francisco, CA. Prior to joining the Law Offices of Michael J. Gurfinkel, Inc., Ms. Lin’s practice focused on EB-5 immigration visa petitions through regional center investments. She has experience in assisting investors with complex Source of Fund issues. She is also knowledgeable in other non-immigrant visa petitions, such as E-2, L-1 and H-2B, and has expanded into family immigration as well. As an immigrant herself, Ms. Lin’s background helps her representation of diverse clients. Ms. Lin is bilingual in Mandarin and English.